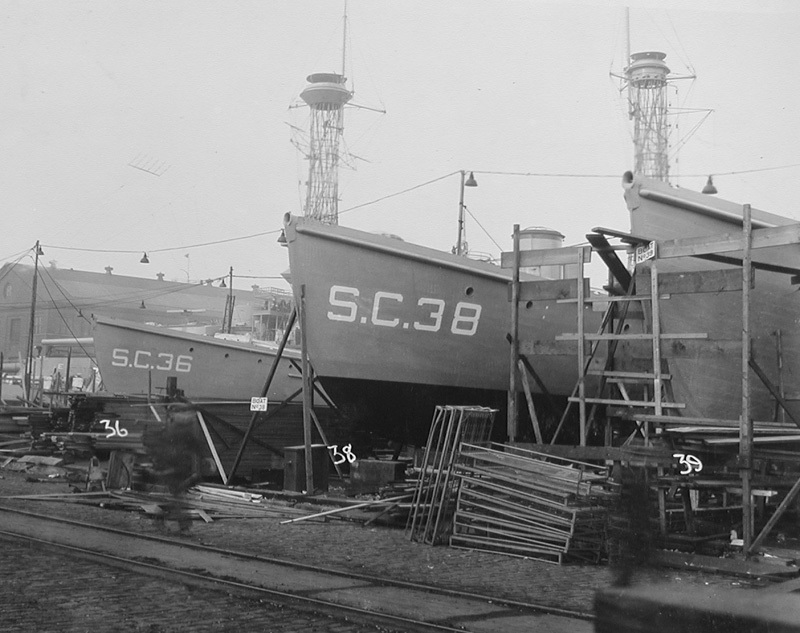 Submarine chaser SC 36 was commissioned on 23 January, 1918, at New York, and served at Plymouth (Base 27) in ASW operations. 1. Caption: “Sand” at dock. Base 27 Victoria Wharf, Duke’s Dock, The Cattewater, Plymouth, Devon, England. 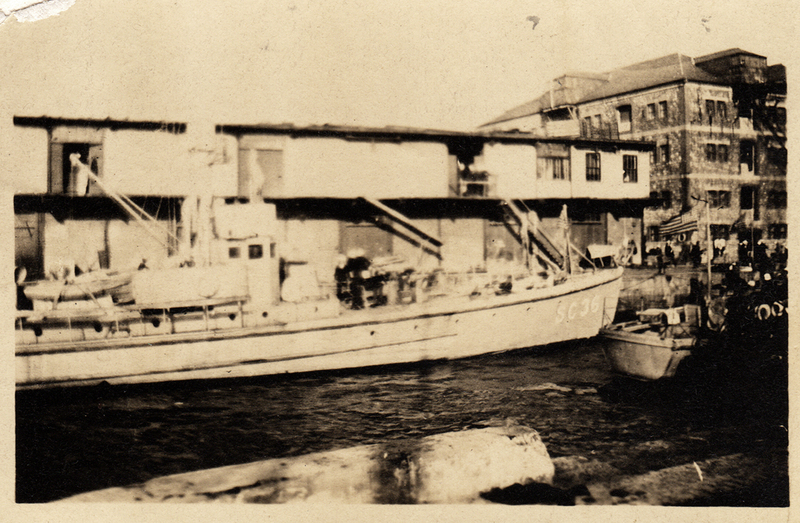 Thanks to Jayne Rankin, granddaughter of SC 36 creman Ward Weller, for submitting the photo scan to The Subchaser Archives. 2. Chasers under construction. Caption: "Navy Yard New York 11-27-17. Submarine chasers under construction neaer D. D. No. 4. Bow view 3453" National Archives, 19LC Box 13. Thanks to Dan Treadwell for submitting the digital image.